For years, possibly centuries, it was believed that Finisterre was the place that had the privilege of being considered the End of the World. What continues to make such a unique enclave so especially? We travel to Cape Finisterre, the place that even today still retains the epithet of 'The End of the World'. From beasts of all kinds, to sentences like "where reality ends and begins the mystery" have been passed from generation to generation, century to century which is one of the most emblematic places in Galicia . Cape Finisterre is a peninsula of 3 kilometers, located in the Costa da Morte, a place that has led to all kinds of legends. What is special about the place and why it has always been a focus of stories in which sailboats and large ships have been victims? If we have the chance to travel to Cape Finisterre we realize that looking both left, right or front, everything you see will be exclusively sea. His name, without going any further, derived from the latin "finis terrae", being considered the "end of the earth", as stated in the translation. 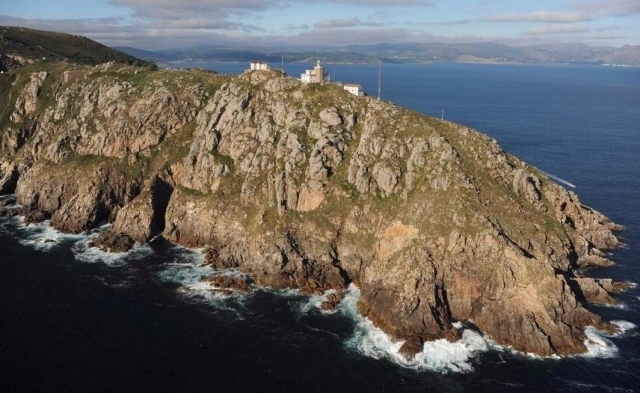 Although the world does not end in Finisterre, its location is the westernmost point of Europe. Is Cape Finisterre a view for pilgrims bound? Undoubtedly. With no doubt. Many of those who venture on El Camino de Santiago decided to conclude its journey precisely in Finisterre, covering the 90 kilometers separating Santigo and Finisterre. Those who want to go a step further and spend a romantic evening in the "End of the World" have the possibility of staying in the hotel O Semaforo, located in the middle of Cape Finisterre. But note that reservations for the hotel are quite complicated to get today, however the views are little more than impressive. 0 reviews Distance to Santiago: 98 km.